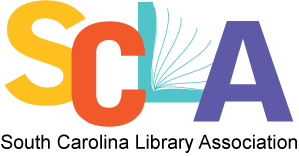 The SCLA Job Listings is a list of job announcements for any type of library within South Carolina and the Southeast. Libraries, please read the Job Posting Guidelines and submit your new job announcements. Job Description: GENERAL DESCRIPTION OF CLASSThe purpose of the class is to provide advisory services to County Library patrons and staff, to perform other professional library duties, to assist in supervising Library staff and volunteers as assigned, and to perform related work as required. The class works within a general outline of work to be performed, and develops work methods and sequences under general supervision. Monday, Tuesday, Thursday and Friday 8:30-5. 12:45-9:15 on Wednesday. The 4th weekend of each month: Saturday 8:30- 6:15, Sunday 1:30-6:15.ESSENTIAL TASKSThe tasks listed below are those that represent the majority of the time spent working in this class. Management may assign additional tasks related to the type of work of the class as necessary.Plans, supervises and provides reference and readers' advisory services to library patrons and staff.Participates in collection development; analyzes current collection for currency, physical condition, general quality and usefulness; recommends books and other library materials.Assists library patrons in using various resources and equipment of the Library; interprets Library policies and procedures to the public; adjusts patron accounts as necessary.Plans, coordinates, supervises and/or conducts programs and specialized services for adult patrons.INVOLVEMENT WITH DATA, PEOPLE AND THINGSDATA INVOLVEMENT:Requires coordinating or determining time, place or sequence of operations or activities based on analysis of data or information and may implement and report on operations and activities.PEOPLE INVOLVEMENT:Requires giving information, guidance or assistance to people to directly facilitate task accomplishment; may give directions or assignments to helpers or assistants.INVOLVEMENT WITH THINGS:Requires handling or using machines requiring moderate instruction and experience such as computers, and software programs such as word processing, spreadsheets or custom applications.COGNITIVE REQUIREMENTSREASONING REQUIREMENTS:Requires performing coordinating work involving guidelines and rules, with constant problem-solving.MATHEMATICAL REQUIREMENTS:Requires using addition and subtraction, multiplication and division, and/or calculating ratios, rates and percentages.LANGUAGE REQUIREMENTS:Requires reading journals, manuals and professional publications; speaking informally to groups of co-workers, staff in other organizational agencies, the general public, people in other organizations; presenting training; composing original reports, training and other written materials using proper language, punctuation, grammar and style.MENTAL REQUIREMENTS:Requires doing professional-level work requiring the application of principles and practices in a wide range of administrative, technical or managerial methods in the solution of administrative or technical problems; or the coordination of entry-level managerial work; requires general understanding of operating policies and procedures and the ability to apply these to complex administrative problems; requires continuous, close attention for accurate results or frequent exposure to unusual pressures. Qualifications: VOCATIONAL/EDUCATIONAL PREPARATION:Requires a Master’s degree in library science from an ALA-accredited college or university.SPECIAL CERTIFICATIONS AND LICENSES:Must possess Professional Librarian certification from the S.C. State Library.Must possess valid state driver’s license.EXPERIENCE REQUIREMENTS:Requires over two years and up to and including four years. Job Description: Position: Librarian IV, Branch Manager - Level 5 (MLIS Degree Required), FT, Five Forks Branch. Status: Regular Full-time, Exempt Available: May 2019Location: Five Forks Branch Library, 104 Sunnydale Drive, Simpsonville, South Carolina.Schedule: Mon. 1:00p-9:00p; Tues., Wed., & Thurs. 8:30a-5:00p; Fri. 8:30a-6:00p; and a rotation of every 4th weekend, Sat. 8:30a-6:00p & Sun. 1:30p-6:00p. (Off the Fri. before and the Tues. after working the weekend) Schedule requires flexibility to cover unanticipated staffing needs. FUNCTIONEmployees in this position manage people, projects, collections, events, ideas, and a facility. They coach, schedule, direct, and supervise the staff and activities related to the operation of a branch of the Greenville County Library System (“Library”). They embody the Library’s Code of Service by creating an atmosphere where customers and employees feel invited, informed, impressed, and inspired. They greet customers and employees with a welcoming smile, and they enthusiastically provide knowledgeable and meaningful assistance in the discovery and use of Library resources, services, and technology. Work is performed under general supervision, in accord with the Library’s vision and mission, using good judgment in the application of policies and established procedures. EXAMPLES OF WORK PERFORMEDThese tasks are illustrative only; to carry out the day-to-day functions of the job, other duties may be performed. The omission of specific statements of duties does not exclude them from the position if the work is similar, related or logical assignment to the position. Essential job functions designated with (E). •Assigns, instructs, directs, and supervises branch staff to implement the branch service plan. (E)•Provides training for subordinates; reviews performance of subordinates and makes recommendations for improvement/growth as appropriate. (E)•Prepares staff schedules, approves leave requests, and requests assistance when supplemental coverage is needed. (E)•Provides assistance in reference, reader’s advisory, and circulation services to customers and employees. (E)•Assists customers with the use of computer equipment, Windows operating system, MS Office, various Internet browsers, email and the Library’s website; including the online catalog and databases. (E)•Communicates and enforces the Library’s Code of Conduct and other policies, procedures, and regulations. (E)•Plans, organizes, schedules, and implements branch programs for adults. Coordinates branch-initiated young adult programs with the Teen Librarian. •Assists Youth Services in providing, coordinating, and promoting children’s programs. Coordinates branch-initiated children’s programs with the Youth Services Department.•Confers with the Access & Discovery Director and Human Resources regarding branch personnel needs, problems, vacancies, recruitment, specific position requirements, and overall employee relations. (E)•Coordinates interviews of candidates for branch staff positions and submits recommendations of those determined to be most qualified. (E)•Makes recommendations to the Technical Services Manager regarding the development and maintenance of the branch collection; weeds collection based on condition, timeliness, and use. (E)•Assists in planning for changes and improvements in branch operations, including furnishings and equipment recommendations and formulation of goals and objectives. (E)•Demonstrates knowledge of computer applications and participates in planning and administration of automation at branch level. (E)•Assists customers with current mobile device technology and assists them in downloading and/or accessing the Library’s digital materials such as eBooks, magazines, and music. (E)•Makes appropriate referrals to other Library units, agencies, etc., for information or materials not available at branch location. (E)•Opens and closes branch according to established procedures. (E)•Ensures that branch safety and maintenance issues are reported promptly and properly. (E)•Receives and compiles statistics, memos, documentation, reports, correspondence, etc. (E)•Keeps abreast of developments in library and information science. (E)•Answers questions on Library operations, policies and procedures, and addresses problems and complaints. (E)•Establishes relationships with organizations and groups in the community to promote Library services, resources and programs. (E)•Ensures fines and fees are collected and reported accurately. (E)•Coordinates use of branch meeting spaces and maintenance of meeting room calendar. (E)•Works with Volunteer Coordinator to select, train, schedule, and supervise volunteers in the branch as appropriate.•Operates, manages, and coordinates maintenance of Library equipment, including self-checkout stations, staff and public computers, telephones, printers, cash register, photocopier, and audiovisual equipment. Provides instruction and demonstrates use as needed. (E)•Attends meetings, training programs, workshops, conferences, etc., as requested by supervisor and/or as funds are available. (E)•Empties book drops during Library holidays and other closings. (E)•Ensures safe work methods are followed to prevent injury. (E)•Works a schedule that meets the needs of the unit. (E)•Performs other related duties as required, including those of any staff member in the unit. How to Apply: Visit the Job Openings page on our website at www.greenvillelibrary.org to submit an online employment application and/or for additional information about our application process. Inquiries may be directed to Cindy Quinn at (864) 527-9232 or [email protected] is an Equal Opportunity Employer. GCLS participates in E-Verify. Job Description: Position: Librarian IV, Branch Manager - Level 4 (MLIS Degree Required), FT, Pelham Road Branch. Status: Regular Full-time, ExemptAvailable: May 2019Location: F.W. Symmes Branch Library, 1508 Pelham Road, Greenville, South Carolina.Schedule: Mon., Tues., & Thurs. 8:30a-5:00p; Wed. 2:00p-9:00p; Fri. 8:30a-6:00p; and one Sat. per month, 8:30a-6:00p. (Off the Fri. before working on Sat.) Schedule requires flexibility to cover unanticipated staffing needs. FUNCTIONEmployees in this position manage people, projects, collections, events, ideas, and a facility. They coach, schedule, direct, and supervise the staff and activities related to the operation of a branch of the Greenville County Library System (“Library”). They embody the Library’s Code of Service by creating an atmosphere where customers and employees feel invited, informed, impressed, and inspired. They greet customers and employees with a welcoming smile, and they enthusiastically provide knowledgeable and meaningful assistance in the discovery and use of Library resources, services, and technology. Work is performed under general supervision, in accord with the Library’s vision and mission, using good judgment in the application of policies and established procedures. EXAMPLES OF WORK PERFORMEDThese tasks are illustrative only; to carry out the day-to-day functions of the job, other duties may be performed. The omission of specific statements of duties does not exclude them from the position if the work is similar, related or logical assignment to the position. Essential job functions designated with (E). •Assigns, instructs, directs, and supervises branch staff to implement the branch service plan. (E)•Provides training for subordinates; reviews performance of subordinates and makes recommendations for improvement/growth as appropriate. (E)•Prepares staff schedules, approves leave requests, and requests assistance when supplemental coverage is needed. (E)•Provides assistance in reference, reader’s advisory, and circulation services to customers and employees. (E)•Assists customers with the use of computer equipment, Windows operating system, MS Office, various Internet browsers, email and the Library’s website; including the online catalog and databases. (E)•Communicates and enforces the Library’s Code of Conduct and other policies, procedures, and regulations. (E)•Plans, organizes, schedules, and implements branch programs for adults. Coordinates branch-initiated young adult programs with the Teen Librarian. •Assists Youth Services in providing, coordinating, and promoting children’s programs. Coordinates branch-initiated children’s programs with the Youth Services Department.•Confers with the Access & Discovery Director and Human Resources regarding branch personnel needs, problems, vacancies, recruitment, specific position requirements, and overall employee relations. (E)•Coordinates interviews of candidates for branch staff positions and submits recommendations of those determined to be most qualified. (E)•Makes recommendations to the Technical Services Manager regarding the development and maintenance of the branch collection; weeds collection based on condition, timeliness, and use. (E)•Assists in planning for changes and improvements in branch operations, including furnishings and equipment recommendations and formulation of goals and objectives. (E)•Demonstrates knowledge of computer applications and participates in planning and administration of automation at branch level. (E)•Assists customers with current mobile device technology and assists them in downloading and/or accessing the Library’s digital materials such as eBooks, magazines, and music. (E)•Makes appropriate referrals to other Library units, agencies, etc., for information or materials not available at branch location. (E)•Opens and closes branch according to established procedures. (E)•Ensures that branch safety and maintenance issues are reported promptly and properly. (E)•Receives and compiles statistics, memos, documentation, reports, correspondence, etc. (E)•Keeps abreast of developments in library and information science. (E)•Answers questions on Library operations, policies and procedures, and addresses problems and complaints. (E)•Establishes relationships with organizations and groups in the community to promote Library services, resources and programs. (E)•Ensures fines and fees are collected and reported accurately. (E)•Coordinates use of branch meeting spaces and maintenance of meeting room calendar. (E)•Works with Volunteer Coordinator to select, train, schedule, and supervise volunteers in the branch as appropriate.•Operates, manages, and coordinates maintenance of Library equipment, including self-checkout stations, staff and public computers, telephones, printers, cash register, photocopier, and audiovisual equipment. Provides instruction and demonstrates use as needed. (E)•Attends meetings, training programs, workshops, conferences, etc., as requested by supervisor and/or as funds are available. (E)•Empties book drops during Library holidays and other closings. (E)•Ensures safe work methods are followed to prevent injury. (E)•Works a schedule that meets the needs of the unit. (E)•Performs other related duties as required, including those of any staff member in the unit. Job Description: Position: Librarian IV, Branch Manager - Level 4 (MLIS Degree Required), FT, Simpsonville Branch. Status: Regular Full-time, ExemptAvailable: May 2019Location: Hendricks Branch Library, 626 NE Main Street, Simpsonville, South Carolina.Schedule: Mon., Wed., & Thurs. 8:30a-5:00p; Tues. 2:00p-9:00p; Fri. 8:30a-6:00p; and every 4th Sat. 8:30a-6:00p. (Off the Fri. before working on Sat.) Schedule requires flexibility to cover unanticipated staffing needs. FUNCTIONEmployees in this position manage people, projects, collections, events, ideas, and a facility. They coach, schedule, direct, and supervise the staff and activities related to the operation of a branch of the Greenville County Library System (“Library”). They embody the Library’s Code of Service by creating an atmosphere where customers and employees feel invited, informed, impressed, and inspired. They greet customers and employees with a welcoming smile, and they enthusiastically provide knowledgeable and meaningful assistance in the discovery and use of Library resources, services, and technology. Work is performed under general supervision, in accord with the Library’s vision and mission, using good judgment in the application of policies and established procedures. EXAMPLES OF WORK PERFORMEDThese tasks are illustrative only; to carry out the day-to-day functions of the job, other duties may be performed. The omission of specific statements of duties does not exclude them from the position if the work is similar, related or logical assignment to the position. Essential job functions designated with (E). •Assigns, instructs, directs, and supervises branch staff to implement the branch service plan. (E)•Provides training for subordinates; reviews performance of subordinates and makes recommendations for improvement/growth as appropriate. (E)•Prepares staff schedules, approves leave requests, and requests assistance when supplemental coverage is needed. (E)•Provides assistance in reference, reader’s advisory, and circulation services to customers and employees. (E)•Assists customers with the use of computer equipment, Windows operating system, MS Office, various Internet browsers, email and the Library’s website; including the online catalog and databases. (E)•Communicates and enforces the Library’s Code of Conduct and other policies, procedures, and regulations. (E)•Plans, organizes, schedules, and implements branch programs for adults. Coordinates branch-initiated young adult programs with the Teen Librarian. •Assists Youth Services in providing, coordinating, and promoting children’s programs. Coordinates branch-initiated children’s programs with the Youth Services Department.•Confers with the Access & Discovery Director and Human Resources regarding branch personnel needs, problems, vacancies, recruitment, specific position requirements, and overall employee relations. (E)•Coordinates interviews of candidates for branch staff positions and submits recommendations of those determined to be most qualified. (E)•Makes recommendations to the Technical Services Manager regarding the development and maintenance of the branch collection; weeds collection based on condition, timeliness, and use. (E)•Assists in planning for changes and improvements in branch operations, including furnishings and equipment recommendations and formulation of goals and objectives. (E)•Demonstrates knowledge of computer applications and participates in planning and administration of automation at branch level. (E)•Assists customers with current mobile device technology and assists them in downloading and/or accessing the Library’s digital materials such as eBooks, magazines, and music. (E)•Makes appropriate referrals to other Library units, agencies, etc., for information or materials not available at branch location. (E)•Opens and closes branch according to established procedures. (E)•Ensures that branch safety and maintenance issues are reported promptly and properly. (E)•Receives and compiles statistics, memos, documentation, reports, correspondence, etc. (E)•Keeps abreast of developments in library and information science. (E)•Answers questions on Library operations, policies and procedures, and addresses problems and complaints. (E)•Establishes relationships with organizations and groups in the community to promote Library services, resources and programs. (E)•Ensures fines and fees are collected and reported accurately. (E)•Coordinates use of branch meeting spaces and maintenance of meeting room calendar. (E)•Works with Volunteer Coordinator to select, train, schedule, and supervise volunteers in the branch as appropriate.•Operates, manages, and coordinates maintenance of Library equipment, including self-checkout stations, staff and public computers, telephones, printers, cash register, photocopier, and audiovisual equipment. Provides instruction and demonstrates use as needed. (E)•Attends meetings, training programs, workshops, conferences, etc., as requested by supervisor and/or as funds are available. (E)•Empties book drops during Library holidays and other closings. (E)•Ensures safe work methods are followed to prevent injury. (E)•Works a schedule that meets the needs of the unit. (E)•Performs other related duties as required, including those of any staff member in the unit. Job Description: Position: Librarian II, Branch Supervisor (MLIS Degree Required), FT, Five Forks Branch. Status: Regular Full-time, ExemptAvailable: April 2019Location: Five Forks Branch Library, 104 Sunnydale Drive, Simpsonville, South Carolina.Schedule: Mon., Wed., & Thurs. 9:30a-6:00p; Tues. 1:00p-9:00p; Fri. 8:30a-6:00p; and a rotation of every 4th weekend, Sat. 8:30a-6:00p & Sun. 1:30p-6:00p. (Off the Fri. before and the Mon. after working the weekend). Schedule requires flexibility to cover unanticipated staffing needs. FUNCTIONThe employee in this position assists the Branch Manager schedule, direct, coach and supervise the staff and activities related to the operation of the Five Forks Branch of the Greenville County Library System (Library). The staff member embodies the Library’s code of service by creating an atmosphere where customers and employees feel invited, informed, impressed and inspired. This person greets customers and employees with a welcoming smile and enthusiastically provides knowledgeable and meaningful assistance in the discovery and use of Library resources, services and technology. The Branch Supervisor serves as the person in charge in the Branch Manager’s absence and supervises part-time paraprofessional staff at the branch. Work is performed under general supervision, in accord with the Library’s vision and mission, using good judgment in the application of policies and established procedures. EXAMPLES OF WORK PERFORMEDThese tasks are illustrative only; to carry out the day-to-day functions of the job, other duties may be performed. The omission of specific statements of duties does not exclude them from the position if the work is similar, related or logical assignment to the position. Essential job functions designated with (E). •Assists the Branch Manager with assigning, instructing, directing and supervising branch staff to implement the branch service plan. (E)•Directly supervises part-time paraprofessional branch staff. (E)•Provides training for subordinates; reviews performance of subordinates and makes recommendations for improvement/growth as appropriate. (E)•Assists the Branch Manager with preparing staff schedules, approving leave requests and requesting assistance when supplemental coverage is needed. (E)•Provides reference service to library patrons, staff and others. (E) •Assists customers with identifying, locating and using Library materials. (E) •Provides circulation services, including registering new borrowers, updating customers records, resolving account issues, etc. (E)•Provides Readers’ Advisory services. (E) •Assists customers with the use of computer equipment, Windows operating system, MS Office, various Internet browsers, email and the Library’s website; including the online catalog and databases. (E)•Communicates and enforces the Library’s Code of Conduct and other policies, procedures and rules to customers and employees. (E)•Assists in various aspects of programming for young adults and/or adults, including planning, organizing, preparing materials, presenting and/or providing instruction. (E) •Promotes library programs and assists customers in registering for them. (E)•Coordinates the interviews of applicants for supervised staff positions and makes recommendations for selecting new employees. (E)•Reads book reviews and makes acquisition recommendations to supervisor. (E)•Assesses Library materials for needed repair or repackaging and identifies items for discard/replacement. (E)•Assists the Branch Manager in planning for changes and improvements in unit operations, including budget recommendations and formulation of goals and objectives (E).•Demonstrates knowledge of computer applications and participates in planning and administration of automation at branch level. (E)•Assists customers with current mobile device technology and assist them in downloading and/or accessing the Library’s online digital materials such as eBooks. (E)•Makes appropriate referrals to other Library units, agencies, etc., for information or materials not available at work location. (E)•Opens and closes branch according to established procedures. (E)•Ensures that branch cleanliness, safety and maintenance issues are reported promptly and properly; submits HelpDesk requests to resolve problems. (E)•Receives and compiles statistics, memos, documentation, reports, correspondence, etc. (E)•Uses reports generated from the integrated library system (ILS) and other library automation providers to analyze and improve branch operations and services. (E)•Reviews and studies professional literature to keep abreast of developments in library and information science. (E)•Answers questions on library operations, policies and procedures and handles problems and complaints. (E)•Assists with establishing relationships with organizations and groups in the community to promote library services and programs and participates in community events on behalf of the Library upon request. (E)•Responsible for the accurate collection and reporting of fines and fees. (E)•Coordinates use of branch meeting spaces and maintenance of meeting room calendar. (E)•Works with Volunteer Coordinator to train, schedule and supervise volunteers in the branch as appropriate.•Operates and assists in maintaining library equipment, including self-checkout stations, public and staff computers, telephones, printers, cash register, photocopier and audiovisual equipment. Provides instruction and demonstrates use as needed. (E)•Attends meetings, training programs, workshops, conferences, etc., as requested by supervisor and/or as funds are available. (E)•Assists in monitoring materials received and sorted by the automated materials handling system during holidays and other library closings. (E)•Assists in conducting inventory of Library collections. (E)•Ensures safe work methods are followed to prevent injury. (E)•Works a schedule that meets the needs of the unit. (E)•Engages customers by creating and maintaining displays that promote Library resources and services. •May conduct presentations, orientation sessions and tours for groups. •Performs other related duties as required. Job Description: Clemson University Libraries seeks a Web Developer to manage the Libraries’ external and internal websites and work with colleagues and stakeholders to cultivate the strategic goals, policies, and procedures for the Libraries’ overall web presence. This position will provide administrative and technical management of all Libraries’ websites and interact with a wide variety of constituents—including faculty, staff, and students—to provide web and application development and evaluate user needs. The Web Developer will work closely with content creators to organize content in a meaningful way and keep online material updated. Candidates selected for an in-person interview will be required to give a short presentation. Position Responsibilities •Manages all internal and external websites for the Libraries, which includes: routine content and user management; plugin and application updates; managing controlled vocabularies for content classes and types; and scheduling backups. Manages the migration of content from legacy web sites and systems into WordPress. Installs, tests, implements, and develops WordPress plugins and themes.•Serves as Co-Chair of the Libraries’ Web Advisory Committee and actively engages in strategic planning for the Libraries’ overall web presence. Develops and implements concepts, policies, and standards for websites within overall goals and parameters established by senior management and endorsed by stakeholders. Designs consistent methodologies for the development of online resources.•Performs web server and database administration tasks at a Unix/Linux shell command line, translates business needs and wants into web system designs, and works with others to build integration interfaces between web applications and other internal and external systems.•Develops web applications to streamline or improve online services for the Libraries. Additional opportunities for software development outside of web development also exist for this position.•Continually evaluates website and application needs via ongoing qualitative (e.g., usability studies) and quantitative (e.g., web analytics) assessment strategies. •Regularly creates and maintains documentation. Provides training and technical support for content managers. •Adheres to and complies with all university policies and procedures. How to Apply: •Visit https://cujobs.clemson.edu/psc/ps/JOBS/EXT/c/HRS_HRAM.HRS_APP_SCHJOB.GBL?Page=HRS_APP_JBPST&Action=U&FOCUS=Applicant&SiteId=1&JobOpeningId=104090&PostingSeq=1 (‘Web Developer’ Job ID #104090).•Click the "Apply" button at the end of the job listing page.•Register for an account, fill out the application completely, and attach cover letter and résumé documents. Job Description: In this challenging role, you will support the Learning Resources department at Greenville Technical College. Duties may include any or all of the following: Provide professional library services such as reference (face-to-face and electronically), library assignment design, research guide creation, outreach, and circulation. Complete daily procedures such as shelving, organizing library materials, and updating location statistics. Teach information literacy workshops to students and faculty as requested and needed. This includes assessment and designing assessment for the workshops. Collection development and weeding based on program needs located at the satellite campus. Communicate with campus faculty, staff, and students about services offered by the GTC libraries, including making displays and outreach. -Serve as back-up for the computer labs and other library locations. Permanent Part-Time 25 Hours per week position with partial benefits (accrual of sick and vacation time). Qualifications: Preferred Qualifications: Masters of Library and Information Science degree + 1 year of library work experience. Ability to work independently and exercise judgment to address student, faculty, and staff requests effectively and promptly. Minimum Qualifications: Associate's degree in a related field + 2 years experience in library work; or HS diploma + 4 years experience in library work. Note: Work is generally assigned Monday - Thursday during business hours (7:30 am - 6:00 pm), but Friday and weekend work will be required certain times during the semester. Occasional travel to other campuses, training workshops, and conferences may be needed. College committee work is expected. Work is primarily in an office, library, or lab setting with heavy computer use. Must be able to stand, bend, stoop, and lift 50 lbs. in order to shelve or rearrange library materials. How to Apply: Applications will continue to be accepted until the position is filled. For full information about the position and to apply, please go to: http://www.erskine.edu/erskine/human-resources/job-opportunities/. Job Description: The Gregg-Graniteville Library at the University of South Carolina Aiken invites applicants to be the Instruction and Reference Librarian with emphasis in Emerging Technologies, a tenure track position at the rank of assistant professor, to begin July or August 2019. The successful candidate will be the librarian liaison to the STEM programs at USCA and participate in reference desk staffing, library instruction, and collection development.Responsibilities include:•Providing library instruction and reference services as part of the instruction and reference team•Serving as liaison to USC Aiken STEM programs•Leading the technology team, investigating, recommending, and implementing new technologies. •Serving as the administrator for the library website and Springshare products, such as LibGuides, LibChat, and LibCal.•Meeting campus guidelines for promotion and tenure, including the areas of teaching/librarianship (including the potential for teaching for-credit courses); research and scholarship; and service to the library, the campus, the profession, and the communityKnowledge/Skills/Abilities•Excellent written and interpersonal communication skills•Ability to work collaboratively with diverse constituencies •Strong commitment to public service•Excellent organizational skills•Knowledge of trends and best practices in academic librariesOther Information•This is a 12 month, 37.5 week appointment with accrued sick and annual leave; salary is commensurate with qualifications and experience.For more information, please contact Ms. Brandy Horne (search committee chair) at [email protected] University of South Carolina Aiken (USC Aiken) is a comprehensive university within the University of South Carolina system, located just 20 minutes from Augusta, GA, offers undergraduate and master’s degrees to more than 3,500 students in 50 programs of study. A 15:1 student-faculty ratio allows for highly engaged pedagogies with USC Aiken selected as the college of choice by students from 29 states and 20 countries. USCA has consistently ranked among top public baccalaureate colleges in the South by U.S. News & World Report’s annual “America’s Best Colleges” guide. USCA is also a recipient of The Chronicle of Higher Education’s “Best Place To Work” designation, with top honors for collaborative governance and confidence in senior leadership.Finalist will be required to submit official hard copy transcripts. Women and minorities are encouraged to apply. USCA is an AA/EOE. SummaryFurman University seeks an energetic and organized individual to assist with ordering and receiving materials in multiple formats and accounting for library funds. Additionally the individual will participate in ongoing collection maintenance and assist in ensuring electronic resources are accessible to our users. Reporting to the Coordinator of Content Management, the Financial Records and Acquisitions Assistant is responsible for soliciting order requests from faculty, processing and receiving orders, maintaining financial records and monitoring available funds. This position generates spending reports for faculty, oversees material donations to the library, and supervises student assistants. The successful candidate will demonstrate experience with materials ordering, receipt and accounting. Duties and Responsibilities:•Processing and receiving order requests•Monitoring funds and producing budget and statistical reports•Maintaining records with the libraries administrative system and the universities financial system•Assisting with other tasks and duties such as electronic resource maintenance, material deselection, and circulation desk cross-training.DiversityFurman is an Equal Opportunity Employer committed to increasing the diversity of its faculty and staff. The University aspires to create a community of people representing a multiplicity of identities including gender, race, religion, spiritual belief, sexual orientation, geographic origin, socioeconomic background, ideology, world view, and varied abilities. Domestic partners of employees are eligible for comprehensive benefits. QualificationsRequired: Bachelor’s degree with 1-2 years of relevant experience in a related field. Proficiency in office software and electronic mail. Ability to manage budgets, accounts payable and receivable. Excellent written and oral communication skills. Ability to work independently, set priorities, multi-task, make complex decisions, effectively meet deadlines, and knowledge of effective strategies for working with diverse faculty, staff, and students.Preferred: Knowledge of library operations and experience in an education setting; supervisory experience. Experience with Workday software solutions for financial management and/or Alma (Ex Libris) Library Services acquisitions system or other library or purchasing systems. Salary is commensurate with qualifications. Job Description: Work involves planning, organizing, and coordinating the work of the various divisions and branches of the library system; planning and working with community leaders and organizations in developing programs to meet the reading and informational needs of the service area; and performing managerial duties relating to routine procedures, personnel, and budget items. Plans, directs, supervises, and evaluates the work of members of the staff. Plans or supervises a publicity program; participates in community activities; and maintains contacts with local officials, organizations, and library patrons in order to interpret the services and objectives of the library. Prepares preliminary budgets, confers with library board and with members of board and presents budgets to government officials. Presents and interprets statistical, financial, and other reports to the board, government officials, and the public. Directs and supervises maintenance of buildings, grounds, and property and helps plan new buildings or alterations in existing buildings. Acts as executive officer of library board; helps prepare the agenda and attends all meetings; submits reports of all activities; and serves in an advisory role concerning matters of policy. Supervises material selection based on the needs of the community and within the framework of the collection development policy and the limitations of the budget. Offers advice and sets up mechanism for purchase of library materials to supply the needs of all departments of the library and for systematic weeding of the collection. Attends professional meetings; maintains active membership in state, regional, and national library associations; participates in activities of professional organizations; keeps informed on current trends and developments within the library community. Anticipates new trends in technology and ensures Internet access at all locations. Qualifications: Master’s Degree from a library school accredited by the American Library Association is required. Experience in an increasingly responsible supervisory and/or administrative position preferred. Applicants must possess or be prepared to secure NC Public Librarian Certification. Must have a thorough knowledge of the principles, practices, and techniques of modern library operation and administration including integrated library systems and Internet access. Ability to prepare reports and present ideas orally and in writing. Ability to establish and maintain effective working relationships with other employees, agencies, and the general public. Must be able to pass a background check. How to Apply: AVAILABLE: Open until filledAPPLY BY: April 15, 2019TO APPLY: Submit a cover letter, resume and three professional references to: Director, Nantahala Regional Library, 11 Blumenthal Street, Murphy, NC 28906, fax 828-837-6416, or email to [email protected]. Contact: Gail Graham at 828-837-2025 or at [email protected]. Job Description: Directs the daily operation of the Library’s automated Integrated Library System (Polaris), other computing systems (ex. LEAP), and wide area network across ten library branches. Manages technology projects and implementation of library hardware, software and technology equipment.Supervises duties of technical staff. Instructs, assigns, reviews and plans the work of others. Reviews work of subordinates. Plans and organizes technical enhancements and job flows. Trains and advices technical and library staff concerning technology policy, procedures and workflow. Researches and formulates strategic plans for the short and long term development and efficacy of the library’s computing and networked resources and infrastructure. Consults with Administration in planning and budgeting. Submits capital purchase plans and requests to the Director. Evaluates and plans for system enhancements both hardware and software. Recommends purchase, and coordinates and participates in the planning, installation and maintenance of computer equipment, software applications and network systems. Analyzes, documents, and resolves system issues and coordinates responses with hardware and software vendors. Technical contact and support coordinator for Integrated Library System. Maintains relationships with outside vendors and County IT personnel. Coordinates with managers and staff to determine and assess technological needs. Instructs staff in prescribed use methods. Authors and updates system level documentation. Runs reports as prescribed. Observes and analyses use data and trends. Uses various complex techniques of modeling data and information engineering. Coordinates and manages modifications, changes, enhancements to the Library’s webpage. Manages integration of electronic materials for customers (eBooks, e-magzines, downloadable videos) with existing library resources, web page, online catalog. Evaluates future digitization projects for Library. Participates in the collection development process, especially in regards to eBooks.Troubleshoots technology malfunctions, performs and or supervises the repair and maintenance of computer and network hardware and software. Coordinates new software releases and evaluates the functionality of optional features for the system. Analyzes scope and details involved in LAN/WAN management. Supports end users in usage of integrated ILS – Replicates Polaris reported problems to troubleshoot. Tests network bandwidth parameters and adjust as needed. Administers the help desk system to assign and route computer trouble tickets to staff.Works with databases and SQL. Knowledgeable of SQL queries and Microsoft Reporting Services. Knowledgeable of Open Source platforms. Serves as a functional expert and provides leadership in multiple system functional areas including discovery access and design, fulfillment, metadata, electronic resource management, etc. Provides front-line user support in a variety of formats, including via help desk software. Supports a project management-based approach to advance the adoption and use of the system. Preferred Experience: above combined with 5-10 years in public library management and/or administration.Physical Requirement: Exerting force up to 20 pounds. Requires talking, hearing, seeing, grasping, standing, walking, repetitive motions, kneeling and reaching. Requires ability to drive a motor vehicle. Qualifications: MLIS or MSIS from an ALA accredited program.Requires a valid SC Driver's License. Job Description: the Montgomery City-County Public Library in Montgomery, Alabama, is seeking candidates for open Librarian II vacancies in the Reference Department at Juliette Hampton Morgan Memorial Library, our central library. Work responsibilities include serving patrons and the public, assisting in the management of the facility, supervising or assisting in the supervision of employees, performing circulation duties, performing collection management activities, serving as experts, and performing a variety of library related duties. Employees are offered a competitive benefits package which includes health and dental insurance, paid annual and sick leave, paid holidays, and a retirement program. Qualifications: Qualified candidates will possess a master's degree in librarianship from a program accredited by the American Library Association or a master's degree with a specialty in school library media from an educational unit accredited by the National Council for the Accreditation of Teacher Education and 1 year of professional level library experience. How to Apply: Additional job information and online application are available at www.montgomerypersonnel.com. Applications must be submitted no later than 5 PM CST on April 1, 2019. Job Description: Description: The University of South Carolina's Law Library seeks a highly-motivated and service-oriented to join the staff of an academic research library with the primary goal of supporting the work of the 52 faculty and over 640 students of the School of Law, but which also actively serves the University community, state government, the Bench and Bar, and the citizens of South Carolina. The University of South Carolina Law Library is the largest law library in South Carolina and one of the larger in the Southeast and serves a vibrant and diverse patron base. The Law Library is independently administered, with a collection of over 500,000 volumes, robust electronic resource access, and a staff of 15. The Law School moved to a new, state-of-the-art building in May of 2017. The University offers a generous benefits package, including health insurance, paid vacation, retirement options, tuition benefits, and access to University events. Minorities and women are encouraged to apply. USC is an Equal Opportunity Employer.Duties: Under minimal supervision performs paraprofessional duties in Access Services department of Law Library. Uses Innovative Millennium Circulation module to perform circulation functions, provides bibliographic assistance to library patrons from both Circulation module and OPAC mode, retrieves material from reserve, maintains self-service copiers and scanners, provides directional and ready reference to library patrons and directs incoming library telephone calls. Assists with stacks maintenance and shifting projects. Files majority of loose-leaf, pocket parts, current periodicals and other supplements. Shelf-reads and conducts inventory of library collection. Trains and supervises work of student assistants for circulation desk work, shelving and stacks maintenance and security duties. Assists with other special projects as needed. Qualifications: Bachelor’s degree and 1 year library experience, or high school diploma and 5 years related experience. Job Description: The University of North Florida, a comprehensive public university in Jacksonville, seeks a visionary, collaborative leader to serve as the Dean of the Thomas G. Carpenter Library (www.unf.edu/library). The Dean is the chief administrator of the university library and reports directly to the Provost and Vice President for Academic Affairs. The Dean of the Thomas G. Carpenter Library is a 12-month administrative faculty position with responsibility for the organization, administration, operation, and evaluation of library services, physical facilities, staff, collection, and budgets. A non-tenure track position with University Librarian rank, the Dean, along with faculty, staff, and students, strives to meet the educational objectives of the University by playing an active role in developing the library’s collections and services and the growing area of digital collections and application of emergent technologies. The Dean serves on the UNF Council of Deans. Convened by the Provost, the Council considers a broad array of areas including strategic planning, institutional effectiveness, budgeting, curricular and administrative issues, academic policies, and college/Academic Affairs initiatives aimed at enhancing both faculty and student life on campus.Beyond the University, the Dean works closely with other Florida public university library deans as well as represents the Library in the community and at the state and national level.This position is an exceptional opportunity for an experienced library administrator to lead an outstanding professional staff and serve the students and faculty of one of Florida’s growing institutions of higher education. \See complete information in the Search Profile (http://www.myersmcrae.com/skins/userfiles/files/UNF-LibDean.pdf). How to Apply: Confidential inquiries are welcomed; nominations are invited. Application packet must include: a) Letter of interest, b) Current resume/curriculum vitae, and c) At least five references with full contact and e-mail information (References will not be contacted without applicant’s consent. )Submit application packet to [email protected] by April 22, 2019, for best consideration. Applications will be accepted until the position is filled. Submit nominations to [email protected] with contact and e-mail information on the individual being nominated.UNF is an Equal Opportunity/Equal Access/Affirmative Action Institution. Under Florida law, employment applications, resumes and additional applicant documentation are subject to public record. Job Description: GENERAL DESCRIPTION OF CLASSThe purpose of the class is to plan, direct, supervise and evaluate all County Library programs and activities, and to perform related professional, supervisory and administrative work as required. This class researches and formulates long-range goals for the organization, develops policy and position papers, and negotiates with chief administrative officers and/or elected officials. ESSENTIAL TASKSThe tasks listed below are those that represent the majority of the time spent working in this class. Management may assign additional tasks related to the type of work of the class as necessary.Plans, coordinates and manages the programs, activities, facilities and personnel of the Pickens County Library, ensuring compliance with all applicable laws, regulations and guidelines. Supervises department staff; supervisory duties include instructing, planning and assigning work, reviewing work, maintaining standards, coordinating activities, selecting new employees, allocating personnel, acting on employee problems, and approving employee discipline and discharge. Provides for the adequate training and development of department staff. Develops and implements Library policies and procedures. Develops and administers the department budget; controls budget expenditures; ensures effective and efficient use of budgeted funds, personnel, materials, facilities and time. Develops and monitors capital projects. Prepares grant applications for federal and other funding; monitors expenditures and evaluates project results at end of grant period. Assists the Library Board of Trustees and Library Foundation in developing short- and long-range goals and objectives for the Library system in an effort to effectively meet present and future community needs; develops and interprets Library policies and procedures for Board approval. Attends all meetings of the Board of Trustees and Foundation and keeps members informed of all Library activities, operations and problems; implements Board directives; serves as liaison to the Friends of the Library; submits recommendations to the various boards and provides administrative support as needed. Plans, develops and implements long and short-range programs for the improvement of County-wide Library services; determines long- and short-term budget, facility, staffing and technology needs. Works with the Library Foundation in planning and implementing fund-raising projects and events. Directs personnel in planning, executing and evaluating complex library services and activities. Provides general oversight of professional library activities, including cataloging and classifying library materials and collection development. Oversees the administration of Library automated systems. Plans and executes the Library’s public information program; promotes the Library and its services to community organizations and the public at large; prepares all publicity for the Library system, including signs, news releases, fliers, brochures, etc. Maintains cooperative working relationships with state, county and local officials, community leaders and civic groups; develops and maintains community support and sponsorships for Library programs. Assists patrons and staff with reference inquiries, including the use of print, electronic and Internet resources. Ensures the provision of professional customer service. Oversees the maintenance and improvement of Library buildings and grounds; ensures the proper maintenance of Library equipment; establishes replacement schedules for equipment and authorizes equipment expenditures. Prepares periodic and special studies, reports and other information as required by Library boards, the County and other agencies. Receives and responds to public inquiries and complaints regarding Library programs and services. Attends professional meetings, conferences and workshops to maintain knowledge of current theories and trends in public library operations and technology; participates on various committees and in professional meetings and activities. Performs general administrative / clerical work as required, including but not limited to preparing reports and correspondence, entering and retrieving computer data, copying and filing documents, reviewing mail and literature, etc. The Reference and Instruction Librarian position is a supervisory public service position. This position is a partnership position to support academic library services with the University of South Carolina in Union. This employee works under the supervision of and consults with the Assistant Director. They have broad decision-making responsibilities for routine operational matters and some decision making responsibilities for non-routine matters, including applying library policy to problems as necessary. The Reference and Instruction Librarian acts as manager on duty when the Library Director and Assistant Director are out of the office. New graduates are encouraged to apply. Applications are available at https://www.unionlibrary.org/about-us. Interested applicants must submit a resume, cover letter, 3 references, and a Union County LibrarySystem Employment Application to [email protected] Position start date is May 13, 2019. $30-34,000 annually; Union County Library System provides health benefits, paid leave, and retirement to all full-time regular employees. Additional benefits, such as a relocation stipend, may be available. ALA-accredited Master of Library Science degree and three (3) years post MLS/MLIS experience to include two (2) years supervisory. Prefer public library experience. Must be proficient in Microsoft Office suite, with the ability to learn and use new methods, policies, and technical advances. Must use tact, courtesy and good judgment when communicating with co-workers and the public. Must be able to work a flexible schedule including evenings and weekends. Must have stamina for periods of walking, standing, reaching, and bending. Must be able to lift library materials including books, AV equipment, program materials, and maneuver loaded book carts weighing approximately 50 to 100 pounds. Bilingual - English/Spanish a plus. Candidates must be eligible for or hold South Carolina State Library certification and must have or the ability to obtain a valid South Carolina driver’s license with a safe driving record. Please visit our website at WWW.CCPL.ORG/CAREERS to apply and obtain salary information for the position. Clemson University Libraries, as a member of the Association of College & Research Libraries (ACRL) Diversity Alliance, seek to engage an early-career librarian who is a member of historically underrepresented racial and/or ethnic groups in higher education so that they can gain professional academic experience in a supportive and collegial environment. This position will build inclusive community engagement programs in collaborative partnership with a wide range of stakeholders, such as academic and student support offices on campus and community partners outside the university. This is a two-year, full-time, non-tenure track temporary lecturer position under the direction of the Head, Information and Research Services. Responsibilities include: •Cultivating positive relationships and work collaboratively with other members of the Libraries and the diversity committee to develop co-curricular library programming and community engagement activities•Actively seeking out opportunities to connect library services and resources to campus, community and regional needs•Listening to community needs in order to develop a robust portfolio of engagement activities•Developing programming and ongoing partnerships with the Harvey and Lucinda Gantt Multicultural Center and other campus offices and student organizations that serve underrepresented groups•Designing program evaluations to assess the impact of library engagement activities on student success•Creation and maintenance of library research guides (LibGuides), curate book displays, and identify other ways to promote library resources and services•Provision of general library research services and participate in instruction initiatives •Participation in professional development such as attending conferences, workshops, and webinars related to job functionsSalary and Benefits Faculty rank and competitive salary based on the successful candidate's qualifications and experience. Various medical plans, dental plans, and retirement plans are available. 18 days annual leave, 15 days sick leave, 12 paid holidays, and liberal professional development leave are provided. Library faculty receive an individual stipend for travel or other professional development activity. Application process Applicants should electronically submit all applications and related materials via Interfolio: https://apply.interfolio.com/61003 . Required materials include a cover letter, professional curriculum vitae, and three (3) reference contacts. Review of materials will begin immediately. Applications received by April 22, 2019 will be guaranteed consideration. Closing Statement Clemson University is an AAO/EO employer and does not discriminate against any person or group on the basis of age, color, disability, gender, pregnancy, national origin, race, religion, sexual orientation, veteran status or genetic information. Clemson University is building a culturally diverse faculty and staff committed to working in a multicultural environment and encourages applications from minorities and women. The Reference and Instruction Librarian provides reference services and instruction of various types to students, faculty, staff, and other library users. Reference is done in person, by phone, by email, and by online chat. This librarian’s work directly supports the university’s goal of educating information literate students. This librarian works 37.5 hours a week, primarily afternoons and evenings. Other duties include but are not limited to: provides occasional coverage for circulation services; responsible for closing the library each weekday night and supervising support staff with closing procedures. ; keeps statistics and compiles reports; participates in professional service, professional development and scholarship activities.Essential duties include: • Designs and teaches library instruction sessions for classes in a variety of disciplines.• Works closely with faculty members to ensure that library instruction meets student needs.• Collaborates with other librarians to assess the effectiveness of library services. • Creates and maintains LibGuides and other library guides.• Creates library instruction tutorials for specific programs, classes, or assignments.• Creates library displays, library newsletters, and other library outreach materials as needed.• Assists faculty with literature reviews.• Evaluates and develops print and electronic collections for specific subjects. Other collection development activities include evaluating donations and weeding as needed. Required Education and Experience: ALA-accredited master’s degree in library and information science. Recent experience in an academic library.Preferred Qualifications:•Recent experience in an academic library.•Recent teaching experience, preferably at the college level.•Recent experience providing reference services.•Recent experience with Blackboard, LibGuides, and WordPress. Direct link to position: https://uscjobs.sc.edu/postings/53419 The University of South Carolina has a central online application system and database of all employment opportunities (uscjobs.sc.edu). This system is available 24 hours a day, 7 days a week, wherever you have internet access. Applications for all full and part-time (permanent and/or temporary) positions at USCB must be submitted through the online system. Full time position for an energetic, team-oriented young adult librarian under the supervision of the Young Adult Services Manager. Responsible for planning, implementing, and promoting in-branch programming to young adults. Responsible for collection maintenance of young adult materials at branch. Collects and reports young adult programming statistics to Young Adult Services Manager. Conducts tours for and provides bibliographic instruction of library services to young adults and school groups. Must be comfortable proactively seeking out customers to offer assistance in all areas of the library (desk, roving, e-mail, phone, or additional methods of communication). Must be able to get along well with others and to communicate pleasantly and effectively with the general public and library staff, orally and in writing, (public speaking included). Must demonstrate knowledge, appreciation, and understanding of young adult materials, both print and electronic. Must have the ability to follow established procedures and to perform work requiring considerable detail; possess the ability to carry out assignments independently, show initiative in making constructive suggestions for improvements in services and collections. Must be courteous and possess tact and good judgment. Must be flexible to assume additional responsibilities as needed to maintain branch operations. Other duties as assigned. REQUIREMENTS: ALA-accredited Master of Library Science degree. Library experience preferred but not required. Must be proficient in Microsoft Office suite, with the ability to learn and use new methods, policies and technical advances. Must use tact, courtesy and good judgement when communicating with co-workers and the public. Must be able to work a flexible schedule including evenings and weekends. Must have stamina for periods of walking, standing, reaching, and bending. Must be able to lift library materials including books, AV equipment, program materials and maneuver loaded book carts weighing approximately 50 to 100 pounds. Bilingual - English/Spanish a plus. Must be eligible for or hold South Carolina State Library certification and a South Carolina driver’s license with a safe driving record. Please visit our website at www.ccpl.org and click on “About CCPL/Careers at CCPL” to apply and obtain salary information for the position. Full time entry-level position available for an energetic, team-oriented librarian desiring supervisory experience. Provides library services for children age’s birth through grade 5: creates attractive displays, develops new and maintains ongoing innovative children’s programs, story times/storytelling, STEAM programs, and puppetry programs to promote literacy. Serves at other departments’ service desks as needed. Assists children and caregivers in use of library resource, provides reference and reader’s advisory services. Conducts outreach to and develops partnerships with community-based organizations, schools that target children to promote library’s services. Participate in collection development and maintenance in consultation with Children’s Department Manager. Successful candidate must possess knowledge and competency of library principles and practices of children’s services. Knowledge of children’s literature and materials, modern library organization. Knowledge of and experience with parent education initiative, Every Child Ready to Read, and early literacy skills desirable. Ability to maintain awareness of ongoing technological advances and how they apply to children. Ability to communicate clearly and effectively, both verbally and in writing to colleagues, adults in the community and children. Ability to create an environment that welcomes both children and adults who work on behalf of children. Must be flexible enough to assume additional responsibilities as needed or assigned to maintain departmental and building operations, including assisting at other departments’ service desks, providing roving customer service, and periodic supervisory duties of the entire facility. Other duties as assigned. Job Description: Director, Libraries & Historical Resources: Professional work directing activities of the Sarasota County Libraries and Historical Resources Department with an emphasis on customer service philosophy and delivery, providing information and educational opportunities, preservation of significant historical resources, community engagement, employee and leadership development through continuous learning and public relations The employee in this position will ensure that other team members participate in setting and achieving Departmental goals by contributing to strategic and operational planning, developing policies, participating in decision making and evaluating progress. ****Please click the link for a complete overview of this posting Director of Libraries - Position OverviewSubject to Passing Substance ScreeningThis position is subject to passing a pre-employment substance screening. An applicant who fails to pass a required drug screening test shall be disqualified from employment in any class for a period of five years.Duties:Customer ServiceEstablishes the tone and service philosophy of the Sarasota County Libraries and Historical Resources.Maintains awareness of technological advances relating to services. Oversees the development and implementation of updates and enhancements to customer service through the utilization of technological innovations.Maintains awareness of operational best-practices to deliver exemplary public library and historical education/preservation services.Supports the services of Sarasota County Departments by remaining informed of opportunities for collaboration and providing information resources and technical expertise.Resolves escalated issues.Community EngagementPlans and implements public relations activities to ensure the Department mission and services are effectively represented to the public and internal customers.Builds and maintains active community partnerships with organizations, agencies and individuals.Acts as liaison with Advisory Boards, Foundations, Friends organizations and other support groups.Acts as chief spokesperson for the Department through media communications, participation in community events, speaking engagements, membership and participation in community services, civic and professional organizations.Staff DevelopmentProvides leadership and fosters a work environment that encourages employee participation and problem solving to achieve the vision and goals of Sarasota County Government.Facilitates organizational planning to ensure sustainable succession-management practices.Oversee the development of training programs for staff and volunteers. Allocates resources for staff development.Assigns, schedules and evaluates the performance of direct-report employees.AdministrationDefines Department vision and mission and plans long and short-term strategies, programs, and practices to achieve established goals and objectives.Ensures that all elements of the Department and Division operations are in compliance with all core service, county, state, and federal policies and regulations. Prepares and presents periodic and special reports to the Board of County Commissioners, various advisory boards, and County Administration relating to Department operations and issues.Selects key professional personnel and oversees selection, training and evaluation of Department employees.Manages the Department’s capital resources. Ensures the appropriate construction, renovation, maintenance, location, and utilization of facilities.Develops, supports, controls, and administers the Libraries and Historical Resources annual budget.Acts as a steward of the Department’s collections, establishing the goals for the selection, control, dissemination, management, and disposition of Department resources.Seeks and develops alternative sources of funding, including grants and private/corporate donations to supplement county funding and enhance library services.Manages proactive assessments of fraud awareness, prevention, detection and risk mitigation activities in area of responsibility; oversees financial, compliance, operational and performance audits; reviews audit findings and ensures appropriate controls are established and implemented. Qualifications: Minimum Qualifications: A Master’s Degree in library science from a college or university accredited by the American Library Association. Eight (8) years progressively responsible professional experience in a public library system, six (6) years of supervisory/management experience or an equivalent combination of education, background and experience to enable the candidate to perform the work required effectively. Preferred Qualifications: Experience in Historical Resources, including services, programs, and partnerships. Ability to develop and articulate the vision for Historical Resources and implement the activities to achieve the goals and objectives. Experience creating strategic partnerships to achieve specific community outcomes for history-related education and historical preservation of built and natural environment. Job Competencies: Knowledge of the following: management principles and practices, principles in budget preparation and management, professional library science and administration, information literacy, archival practices, government operations, technical developments including automation and access. Ability to build consensus, negotiate agreements, and implement constructive change. Ability to develop work programs and plan and supervise the work of others at a macro level. Ability to deal with diverse elements simultaneously. Ability to coordinate activities with other county and community partners. Ability to write and speak effectively. Strong public-speaking skills. Ability to make decisions in a timely manner. Ability to effectively communicate the Department mission and philosophy to county authorities, public and private groups, agencies, and the general public. Use of standard office equipment and computers. The Kanawha County Public Library system is accepting applications for an exciting opportunity to work as a Branch Manager at the St. Albans branch. Qualifications:• Master’s Degree in Library Science Awarded by ALA-accredited institution •Two (2) or more years of professional librarian experience •Direct supervisory experience •Working knowledge of Microsoft OS and Office Suite software, Full time, exempt, includes PEIA health, retirement, vacation & sick leave plans. Salary commensurate with experience. Full job description available at www.kanawhalibrary.org. To Apply: Send letter of application, resume, & salary requirements to: [email protected], or by mail to 123 Capitol St. Charleston, WV 25301. Accepting applications through March 11th, 2019. Description:Dacus Library seeks an innovative and engaged reference librarian for a full-time, 12 month, tenure track, faculty position to provide reference services in a rapidly changing academic environment. Reporting to the Head of Public Services, the Reference Services Librarian will develop and maintain the library’s reference collection, provide research assistance at the Information Commons desk including night and weekend shifts, participate in reference chat service, prepare the reference desk schedule, create informational and instructional materials, and teach in the Information Literacy Program.Major Duties:- Develops and maintains the library’s reference collection.- Explores and recommends best practices and new technologies that enhance reference services.- Works the majority of shifts at the Information Commons reference desk.- Provides reference services one-on-one through the Book a Librarian service, and electronically via chat and email.- Prepares the reference desk schedule and resolves emergency scheduling changes.- Instructs users in finding and evaluating print and electronic resources.- Resolves issues that arise at the reference desk and on the main floor.- Troubleshoots issues related to patron off-campus access to electronic resources.- Collaborates with colleagues to create online tutorials, guides, videos, and other instructional materials.- Teaches library instruction sessions in a variety of disciplines.- Participates in collection development.- Serves on library and campus-wide committees.- Compiles reports as required.- Other duties as assigned. Qualifications:ALA accredited Master's Degree in Library or Information Services and preferably one or more years of library reference and instruction experience.Desired Qualifications:Experience providing reference service in an academic setting. Experience in development and maintenance of reference resources. Experience teaching library instruction, preferably at the college level. Strong experience with research databases and other research resources. Experience creating work schedules. Experience creating online tutorials and instructional materials. Evidence of strong and effective oral, written, and interpersonal communication skills. Demonstrated enthusiasm for providing library services and supporting student success. Required materials:- Cover letter with evidence of responsibilities and qualifications; - Curriculum vitae;- Names, titles, addresses, phone numbers, and e-mail addresses of at least three professional references; - All graduate degree transcripts (unofficial transcripts acceptable at this stage).All materials should be submitted electronically using the following link: https://apply.interfolio.com/59383Review of applications will begin on April 1st and will continue until a finalist has been found. Connect. Empower. Cultivate. The Transylvania County Library (NC) (https://library.transylvaniacounty.org/) seeks an engaged and visionary Director to Connect with community members, Empower the library staff, and Cultivate new partnerships and opportunities for the Library. The Director sits as a department head of the Transylvania County government and directs a talented, motivated staff of 18FTE, an annual budget of $1.5 million and a modern, well-equipped 35,000 sq. ft. facility with strong support from its community. The Library’s six-member, appointed Advisory Board of Trustees works closely with the Director to develop policy and strategic direction of the Library; an active Friends group provides funding and organizes volunteer support for many of the library’s programs and activities; and the Library’s Foundation underwrites the J.R. McDowell Speaker Series, The Looking Glass Rock Writer’s Conference, continuing education for library staff, and provides an Opportunity Fund for evaluating innovation and other major projects. Opportunities include implementation of the Library’s 2017-2022 Strategic Plan and migration to the North Carolina Cardinal Consortium. Responsibilities. The Library Director, under guidance of the County Manager, performs complex professional work planning, directing and coordinating the operation of public library, developing and administering library policies and procedures, working with the library board on financial and facility planning, preparing and presenting required and special reports, maintaining institutional records and statistical data, and related work as apparent or assigned. Work involves setting policies and goals under the direction of the County Manager. Departmental supervision is exercised over all personnel within the department. Qualifications. Minimum requirements include Master's degree in Library Science from an ALA accredited program, 3-5 years progressively responsible experience in the planning, development and administration of library services and library administration, and the ability to obtain/possess North Carolina Public Librarian certification. Essential attributes and skills include visionary leadership skills, the ability to build productive partnerships through civic engagement, excellent interpersonal skills (friendly, caring, connected, trustworthy, and empowering), experience with budgeting and financial management, and operational excellence. Review the full position description at Transylvania County Library Director Description (http://www.bradburymiller.com/transylvaniajobdesc.pdf). Compensation. The starting salary range is $65,564 – $81,955 (dependent on qualifications) with a competitive benefits package. For further information, please visit Bradbury Miller Associates (http://www.bradburymiller.com). Apply via email with a meaningful cover letter and resume as Word or PDF attachments to Karen Miller, [email protected] This position will close April 14, 2019.